RMT to ballot station staff across Govia Thameslink Railways over threat to pay, jobs and safety. 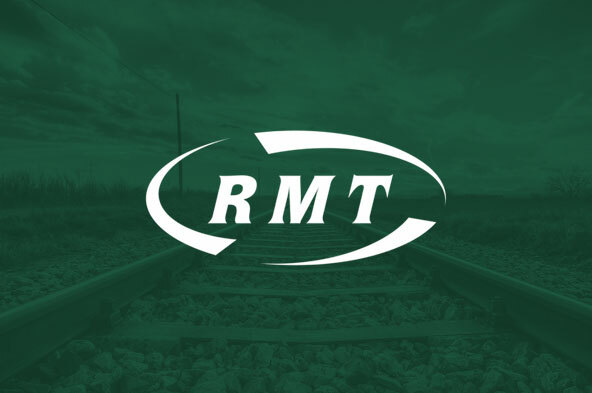 Rail union RMT confirmed today that it to begin balloting station staff across Govia Thameslink Railways for industrial action over the threat to jobs, pay and safety from the impact of ticket office closures and the reorganisation of the workforce. GTR’s proposed reorganisation of station staff will see the creation of the new position of “Station Host”. Meetings have been held as part of the consultation process and the latest developments have been reported to the union’s National Executive Committee which has rejected the company proposals. RMT has therefore taken the decision to ballot all Station Staff members across GTR for industrial action. RMT is totally opposed to ticket office closures and cuts in hours as this will have devastating impact on both staff and the safety and services offered to the travelling public. The union has rejected the latest proposals from the company because they cut pay and will also result in a massive increase in lone working. The impact of the Govia proposals cannot be underestimated. GTR want to close ticket offices, or cut them to morning peak only, at 83 stations from as far afield as Kings Lynn and Bognor Regis. As a means of doing this they plan to introduce a new multi-functional role of Station Host which RMT estimates will result in a cut of at least 130 jobs. GTR are totally ignoring the thousands of passengers who clearly indicated in our high profile public campaign that they are appalled by the planned closure of ticket offices and the swingeing cuts to opening hours. They have failed to address the views of station staff and have ignored the objections from RMT and our sister rail unions. If these changes come in the union believes it will mean all station staff could be forced onto flexible working with an increased workload without the prospect of reasonable compensation. As a result the union has no option but to begin a ballot for both strike action and action short of a strike . Ballot papers will go out on Tuesday 2nd August and the ballot will close on Tuesday 16th August. Well over a thousand staff will be balloted. “The basket-case Govia Thamelink franchise are at it again. Not content with axing catering services, closing ticket offices and attacking the role of their guards they now want to threaten 130 station jobs and compromise the safety of both their passengers and staff alike. “These plans fly in the face of the response from the thousands of passengers who objected to the closure of ticket offices and the de-staffing of stations as Govia drives on with plans for a “faceless railway” where the public are left to fend for themselves on rammed-out, dangerous and unreliable services.